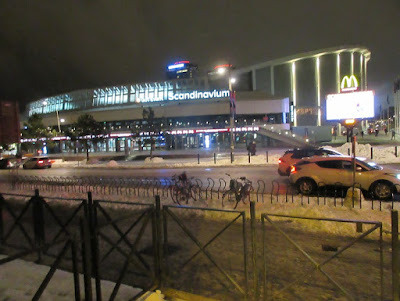 In this first Semi Final Melodifestivalen 2019 seven artists competed to advance in to the Grand Final (and Second Chance round) of Melodifestivalen 2019 to be held in Stockholm's Friends Arena on 09 March 2019. Eurovision Radio International was in Gothenburg to bring you coverage which you can see by clicking on below link: (https://live.24liveblog.com/live/UMJGo). Also below you see links to video interviews done with the participating artists and show producer Christer Bjoerkman. The Results of Melodifestivalen 2019 can be viewed here courtesy of Wikipedia.